Jace’s 7th birthday military boot camp! Kids were divided into four “teams”. Marines, navy, army, And Air Force. Each received a shirt and dog tags. My husband built a boot camp obstacle course. We served MRE lunches (boxed lunches). 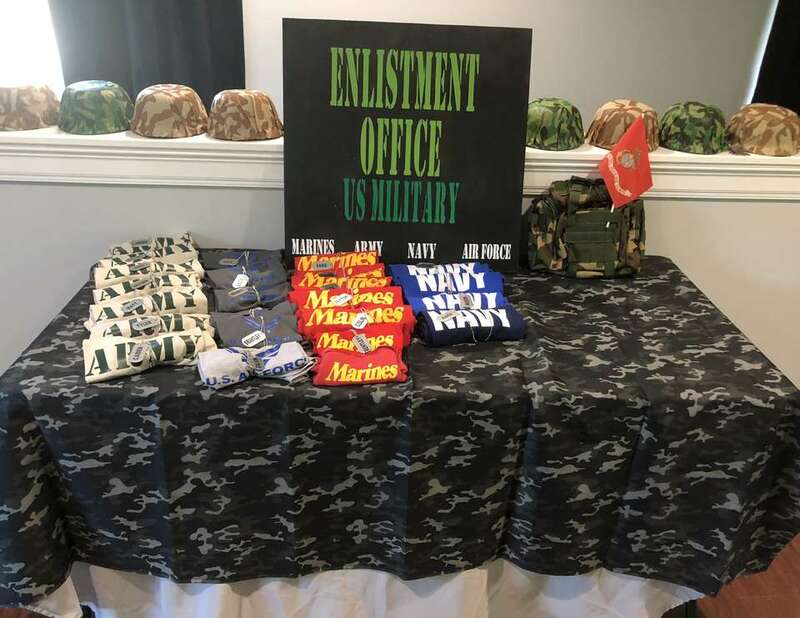 Each kids party favor was the shirt, dog tags, a personalized camo cup, personalized ammo box, and military toys. We had war face paint and a photo booth. MRE boxed lunches. Sandwiches chips cookies and fruit for adults. Kids MRE boxes contained a lunchable fruit yogurt and granola bars. 4 beaches of cupcakes with toppers, photo cake, chocolate covered pretzels, and gourmet cookies. Military branch shirt, personalized dog tags, personalized ammo box filled with military toys.